The Viking River Cruises Longship Viking Odin in port in Volendam, Netherlands. All content is copyrighted property of EuroTravelogue™. Unauthorized use is prohibited. 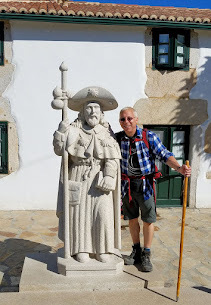 Cruising the rivers of Europe was only a dream, until last week that is, when I realized that dream with Viking River Cruises. It all began with an email from Viking back in mid-February inviting me to Amsterdam for their inaugural celebration for four of the six world-class river-cruise longships scheduled to debut this year; and then sail with them to lands unknown to me—the Netherlands. As you know from my announcement a few weeks ago, I was, and still am for that matter; incredibly euphoric about the adventure with Viking. Imagine, idyllic landscapes punctuated by fanciful windmills, or perhaps quaint and charming seaside villages steeped in time-honored traditions. This is but the first in a series of posts chronicling my Viking explorations—from the Christening ceremony of the new ships in Amsterdam to our intrepid exploration through the Netherlands. With pen and lens in tow, I bring these journeys to life for you and with that, I welcome you onboard the Viking Odin and to the Netherlands! 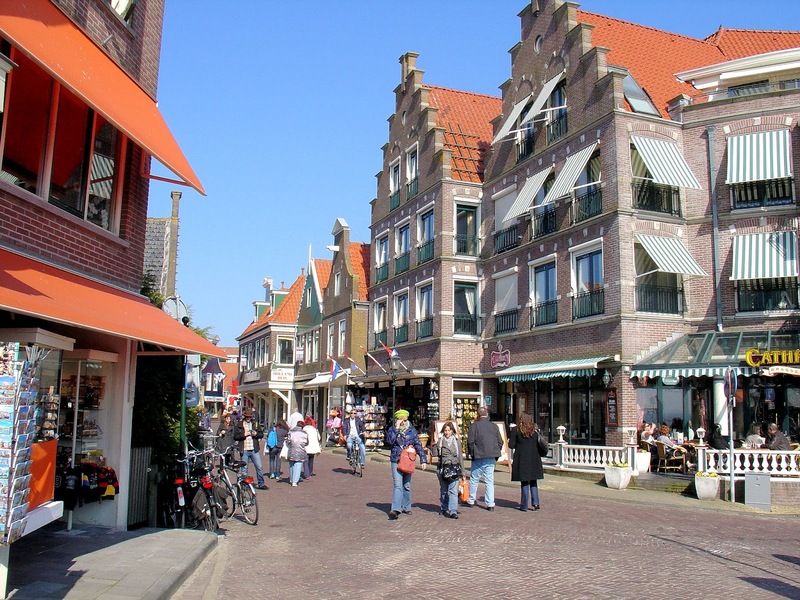 Uniquely Dutch architecture complete with stepped gables lines the winding streets through Volendam, Netherlands. All content is copyrighted property of EuroTravelogue™. Unauthorized use is prohibited. Renowned for their scenic river cruises through Europe, Egypt, Russia, Southeast Asia and China, Viking River Cruises operates the largest fleet of river vessels or longships in the world and is celebrating their 15th anniversary this year! And, by the time 2013 comes to an end, Viking River Cruises will boast 31 vessels with an additional six longships on order for delivery in 2014—incredible growth! From the moment I boarded the Viking Odin, my home for the inaugural cruise, I knew I was in for a special treat. From the friendly and courteous staff, some of whom I had grown quite attached to by the end of my cruise; to the amenities on board and in the cabins; to the unforgettable excursions; and yes, the glorious food—the scrumptious, delicious, gourmet food we delighted in each night. Truly, Viking treated us like royalty and we certainly enjoyed every moment and every bite! Throughout our voyage in the Netherlands, we happened upon scenic landscapes such as this windmill in Kinderdijk. All content is copyrighted property of EuroTravelogue™. Unauthorized use is prohibited. My home for five fantastic days in the Netherlands was on board the Viking Odin, just one in their new fleet of longships that accommodate nearly 200 passengers. And, the accommodations range from luxurious “Explorer” suites and two-room veranda suites, to cabins with full balconies or French balconies, and river-level rooms with windows. Not only are these cabins fully equipped with all the comforts of home including a mini-fridge, flat-panel TV, supremely comfortable beds, plus Provencal bath products; they offer spectacular views of picturesque landscapes outside your sliding-glass doors. And, these new ships offer both European and American outlets so no need for adapters or converters. Leave them home! Check out this guided tour through my cabin 221 on board the Viking Odin. If you want to see more of the ship, visit www.Youtube.com/EuroTravelogue where you’ll find various tours through the ship including the luxurious “Explorer” suite. More videos to come my friends. Stay tuned. 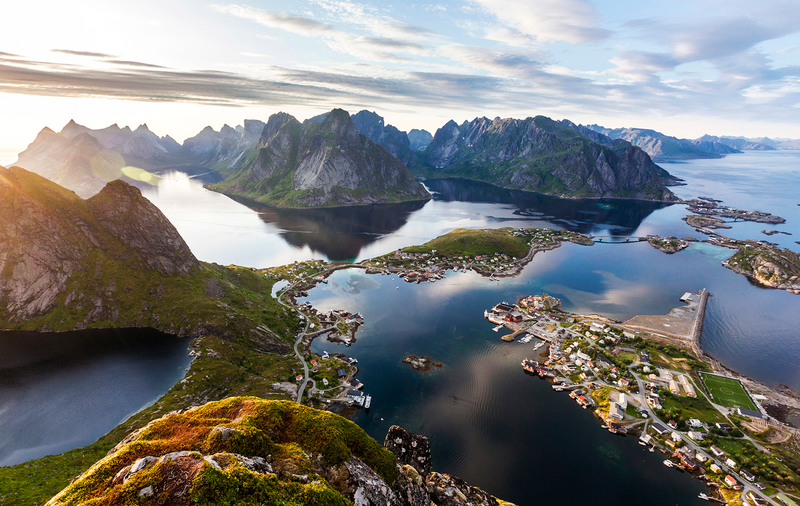 Here’s a short "cruise" through our five-day itinerary and don’t worry, subsequent to this introduction will be feature articles detailing each of the excursions we embarked on—from the Christening in Amsterdam to the scenic villages of the Netherlands. We began our adventures the very next morning after our arrival with a canal tour through Amsterdam where we sailed through the centuries-old historic canals and reveled in the architecture dating back to the 16th and 17 centuries. Charming houseboats and barges line the historic canals throughout Amsterdam. All content is copyrighted property of EuroTravelogue™. Unauthorized use is prohibited. Later that afternoon, we attended the Christening ceremony which was to become one of the highlights of my entire trip and an historic day for Viking because they are the first company to launch four ships in a single day! Inspired by their Norse heritage, Viking River Cruises turned to Viking mythology to name these new ships after Viking gods and heroes. Rebecca Eaton, executive producer of the PBS series “Masterpiece,” who served as godmother for the Viking Freya, the goddess of love beauty and fertilily. Joanna Lumley, whom I “absolutely love,” and famous for her role as “Patsy” on “Absolutely Fabulous, ” is godmother for the Viking Odin—my ship which was named after the father of all the Viking gods. Respected Harvard physicist Dr. Lisa Randall Christened the Viking Idun, the goddess of spring, rejuvenation and eternal youth. Last but certainly not least, is Viking’s most devoted and traveled passenger—Gail Wiswedel, who served as godmother for the Viking Njord, Freya’s father and god of the wind. Via satellite, we checked in with Neptun Shipyard in Rostock, Germany, for a status update on the somewhat delayed Viking Njord and Viking Freya which will launch on April 15 and April 18, respectively. The last two of the six longships scheduled to debut later this year are the Viking Embla, named after the legendary mortal who was the first woman to be created and the mother of all the human race, and the Viking Aegir, named after the mighty god of the sea. These will launch on July 8 and August 15, respectively. In the meantime, check out this short video of Joanna Lumley as she Christens the Viking Odin. On the morning next, we set sail for Volendam where we embarked on a journey through Edam—home of that most scrumptious cheese; Marken—a quaint seaside village on the shores of the Ijsselmeer (pronounced "eye-sill-meer"—a large freshwater lake created when the Dutch blocked off the North Sea to protect the country's low-lying land from flooding and erosion); and back to Volendam for a stroll through narrow streets lined with quaint and uniquely Dutch architecture. 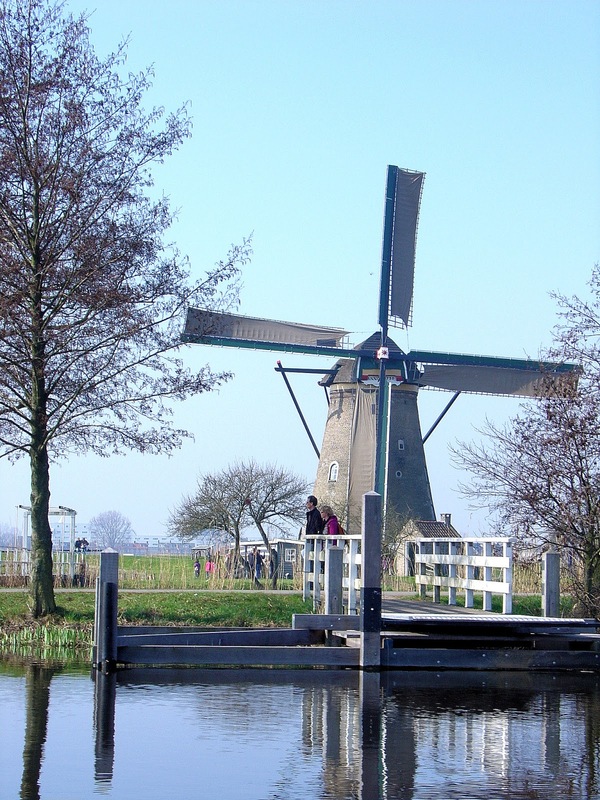 Unforgettable picturesque landscapes of Kinderdijk—UNESCO World Heritage Site. All content is copyrighted property of EuroTravelogue™. Unauthorized use is prohibited. 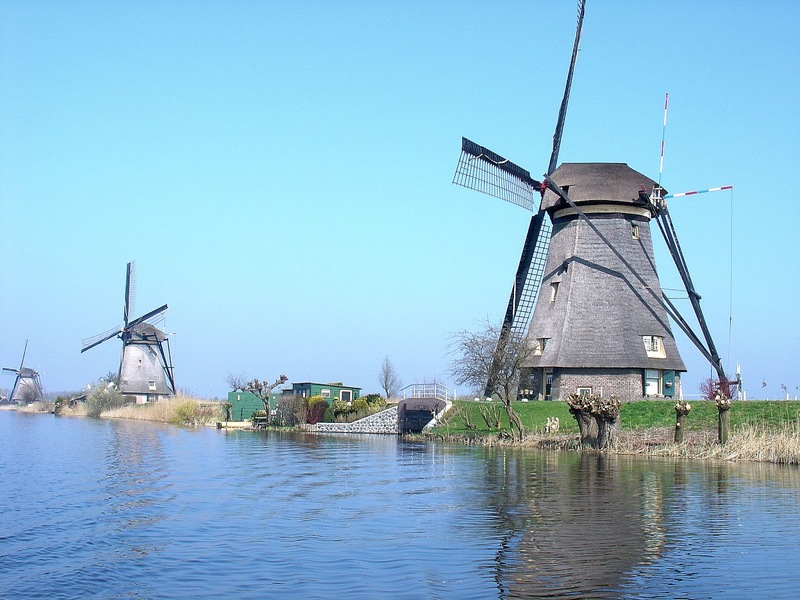 On our last day, we sailed to the enchanting land of windmills—Kinderdijk (pronounced: kinder-dike) which translates to “child’s dike.” We learned about the workings of windmills and the lives of the millers who lived and operated them at this UNESCO World Heritage Site. Afterwards, we sailed to Rotterdam for a tour of Hague to see the Queen’s palace grounds and office, the Peace Palace and the Mauritshuis Musuem—home to “Girl with Pearl Earring” among other famous works of art. More on all of these excursions to come! 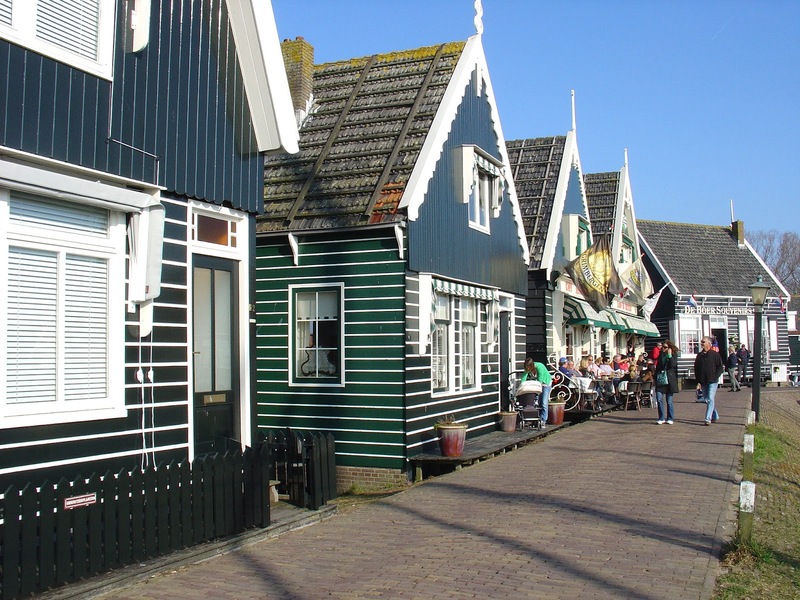 Quaint seaside villages such as Marken preserve their rich heritage and traditions and can be found throughout the Netherlands. All content is copyrighted property of EuroTravelogue™. Unauthorized use is prohibited. Want to learn more about the Viking River Cruises products and where they sail? Visit VikingRiverCruises.com for all the details. Lots of incredible videos on Viking River Cruises Youtube page. Visit Viking River Cruises on Youtube. 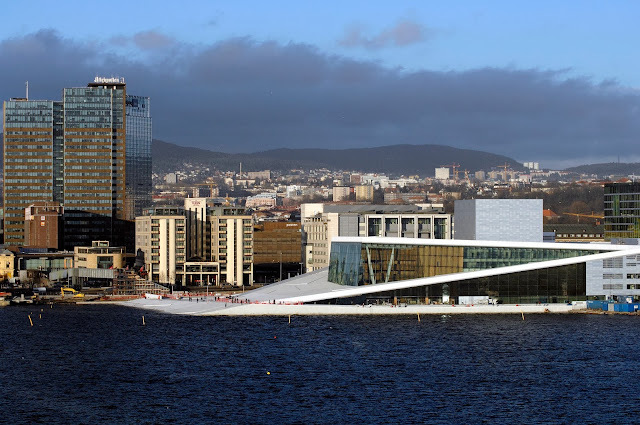 For virtual tour through these innovative longships, check out my first feature. Gorgeous, gorgeous photos. Really looks like you had a wonderful time with the river cruise. Woot! Hi Marlys!! Thx so much for your kind words my friend! They mean a lot...did you laugh at my corny videos? They were fun though and I couldn't believe the quality that iPad produces especially since their still photos are severely lacking. Thank you for stopping by to share your thoughts!! Ah, what a fantastic voyage that must have been! I heard so much about this and LOVE your post and Longships. So thrilled you had a blast! Hi Charu and thank you so much for stopping by!! And yes, it was a fantastic voyage on so many levels...and got to meet a lot of tweeps along the way...highlight for me was meeting Keith Jenkins in Amsterdam for my personal escorted tour of Amsterdam! Magical! So glad to see your review of Viking. My husband and I prefer smaller ships, and are very intrigued with river cruising and the opportunity to see inland areas with the same benefits of a small cruise ship. I'm eager to read about your remaining adventures, and being a bit of a foodie I'd love to hear about the food. So glad Viking chose you (unless it was me!) to do the review. Hi there Kim! I couldn't agree with you more!! After sailing with Viking, I too prefer these small ships and the intimate experiences they offer!!! Stay tuned for more adventures my friend including the food! Thx so much for stopping by to share your thoughts! Looks wonderful! I visited Volendam and Marken in mid-winter when the sea was frozen and people were skating to Marken! Great to see some summer pictures. 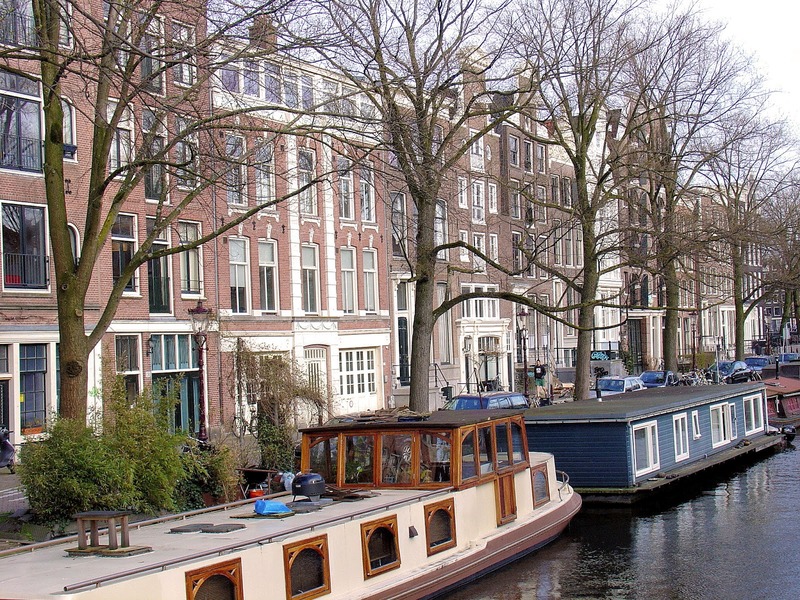 I have no doubt that a waterways cruise would be an outstanding way to see the Netherlands. Hi Natasha and thanks for stopping by. I would have loved to "see" the frozen "sea," so to speak. ; ) Must have been fun for all!! Thanks for sharing your experiences! I have been waiting patiently for a post on this trip. It did not disappoint. Lovely photographs, and I look forward to hearing more about the trip. Great photos, Jeff! I've wanted to do a river cruise since we moved to Europe and your post makes me want to push it up the list! Hi Jennifer, Ted and my friend from Chartres! Thank you all so much for your kind words and compliments. I am thrilled that you enjoyed this first post of my adventures aboard the Viking Odin! Stay tuned because there is a lot more where this came from. Thanks for stopping by and sharing your thoughts!! Hi there Ruangkota!! Thank you so much for stopping by and for your kind words. I am glad you enjoyed the article...and stay tuned...there's more coming tomorrow. Hi there Judit! You are so very welcome for the article and photos! I am thrilled you enjoyed them and shared your comments with my readers as well. Thank you for stopping by and stay tuned, there's more to come!! Hi Debbie, Just published an entire article on the windmills of Kinderdijk. You know, I never got tired of them because there are only a 1,000 or so left in the entire country and they're not as prevalent as you would think and during my week in the Netherlands, I only saw one other windmill outside those in Kinderdijk. Thank you my dear friend so much for stopping by and sharing your thoughts!